The 2019 Atlantic Rally will be held July 18th to 21st at Abram Village PEI. Check the Atlantic Good Sam site. The 2019 Lighthouse Chapter Spring meeting will be Saturday, May 4th at Applewoods Restaurant in New Minas. Meeting at 11:00, lunch to follow. Check Events page. Check out the Events page. 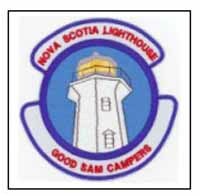 Updated camp-out list, 2019 Lighthouse Chapter Caravan. Welcome to the Lighthouse Good Sam Campers website. If you wish to post please register. Lighthouse Campers can forward pictures to me for posting on the photos page.